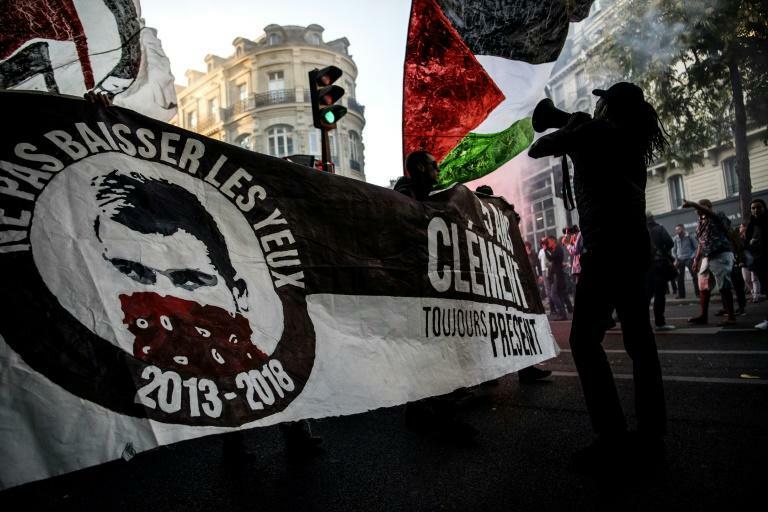 Two former skinheads were handed seven- and 11-year jail terms by a Paris court Friday for killing an 18-year-old antifascist in a 2013 brawl. The heaviest sentence went to Esteban Morillo, who admitted having dealt the fatal blows that left student Clement Meric brain-dead. He died later. Co-accused, Samuel Dufour, who was by Morillo's side but did not hit Meric, received a seven-year term. The men will appeal the sentences, their lawyers said. Meric's parents welcomed the ruling. "The court's decision establishes who is responsible, and makes an end to the lies about Clement's behaviour," his father Paul-Henri Meric said, adding "there were aggressors and there were victims." The prosecution had requested a 12-year sentence for Morillo for what it called an act of "savagery", and seven years for Dufour. A third accused was acquitted. Meric, a student at the prestigious Sciences-Po university, died after a clash in a busy Paris shopping area in June 2013 between skinheads and left-wing activists. His death sent shockwaves through France amid concern over the rise of extreme-right groups, several of which were banned after the attack. "Incarceration is never victory," Meric's mother, Agnes, said after the verdict. "What is needed is to continue to fight against the breeding grounds of the extreme right." Several hundred antifascists gathered in Paris for the verdict, chanting: "Clement! Clement! We do not forget, we do not forgive."